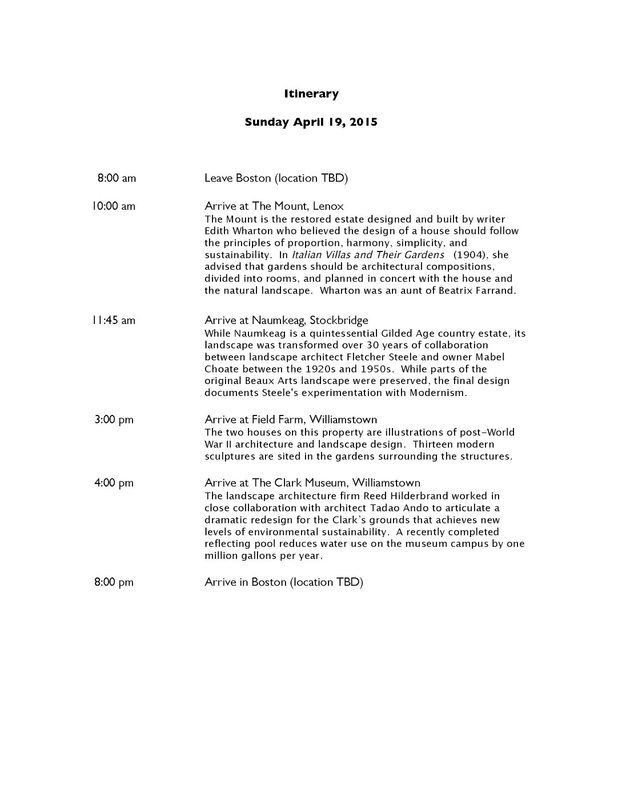 This trip to the Berkshires in western Massachusetts will provide students an opportunity to experience significant designed landscapes that typify several periods in landscape design history. At each stop, a short informational tour of the site will be followed by time for students to explore and sketch the landscapes independently. Background readings and other materials on each landscape will be provided to students prior to the trip. Cost for the trip is $45.00 per student and covers van transportation and site admission fees. Food and other incidental costs are not included. Students are encouraged to bring a picnic lunch, rain gear, cameras, and sketching materials. 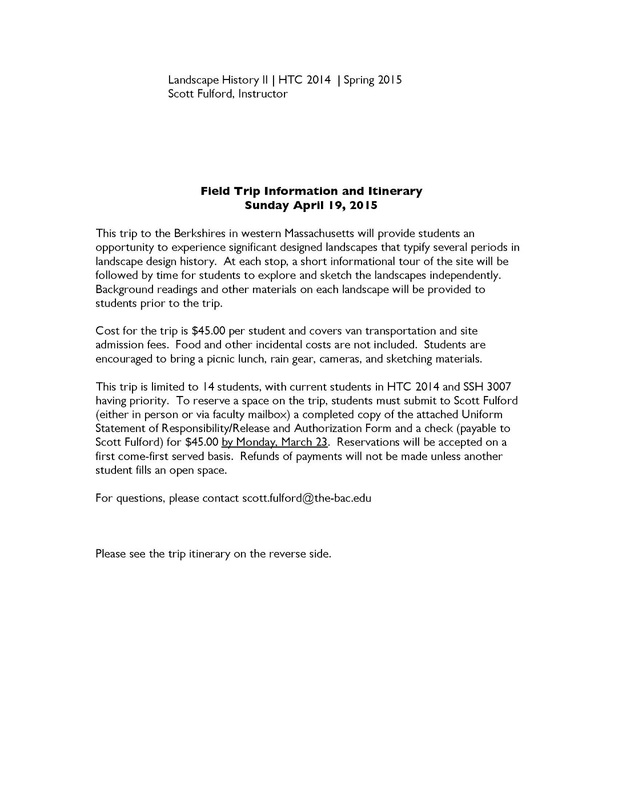 This trip is limited to 14 students, with current students in HTC 2014 and SSH 3007 having priority. 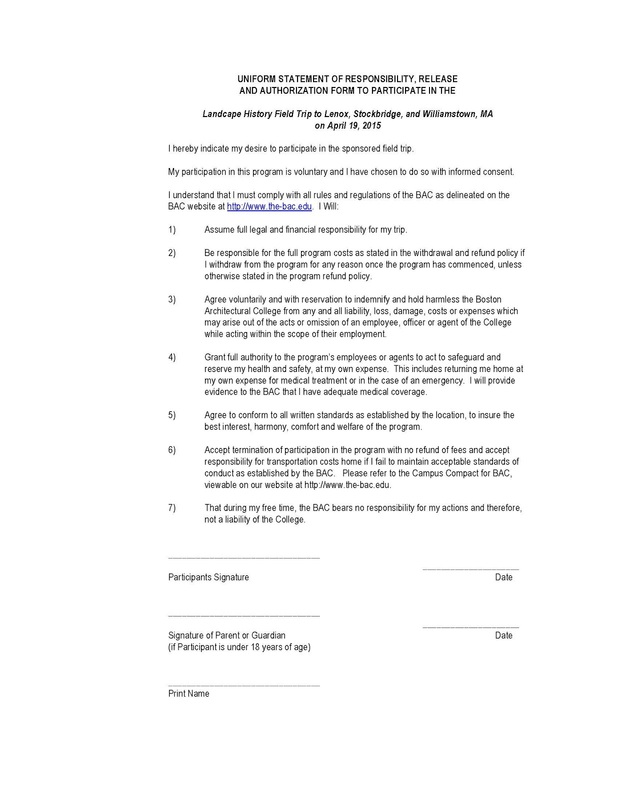 To reserve a space on the trip, students must submit to Scott Fulford (either in person or via faculty mailbox) a completed copy of the attached Uniform Statement of Responsibility/Release and Authorization Form and a check (payable to Scott Fulford) for $45.00 by Monday, March 23. Reservations will be accepted on a first come-first served basis. Refunds of payments will not be made unless another student fills an open space.